Spring skincare begins! Spring is the time we get motivated to clean out our homes, to get rid of things to start fresh. But spring cleaning isn’t just about purging physical items from our lives. After a long winter, it’s also a great time to think about purging toxins from our bodies. Your skin deserves a spring clean to keep everything fresh, glowing and gorgeous. The key to any skin or beauty regimen is consistency. The skin is made up of several layers and it takes time for skin to adjust to new climates. If you follow the main ‘musts’ your skin will be vibrant and glow year round. Spring skincare begins today! So let’s get started. Below are key essentials to keep your skin glowing and healthy. The old adage “you are what you eat” applies not only to our body, but also to our skin. 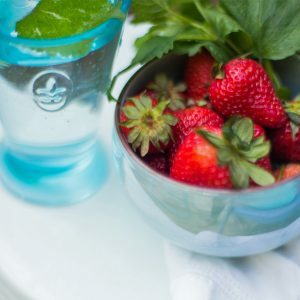 What is lovely about spring and summer is that nature’s skin detoxifiers abound in red and blue, in the form of berries. Try eating what is in local, in season and fresh. Not only will you feel better but you will look better for your spring skincare. Get rid of winter skin for your spring skincare with a gentle exfoliator and stay away from harsh scrubs and chemicals that can damage your skin. Remember your skin sheds cells every minute, think of it as spring cleaning, sweeping away winter. When I was a child my mother would exfoliate with cornmeal which is the reason I created our award winning grits & honey scrub. What customers love about it is that it is not only an exfoliator but a moisturizer as the honey leaves your skin soft and supple. Our pore clarifying mask is perfect for shedding winter and cleansing the pores without drying out your skin. This is so important. When I lived throughout Europe and Latin America doing international business development, people would always tell me to never use soap to cleanse my face, but to use cold cream or oils. I eventually created, and now swear by, our gentle foaming cleansers that are castile based infused with essential oils. Our newest addition to our line, cleansing gel with chamomile and rose geranium is perfect for travel. Our cleansing oil is also gentle, yet effective in cleansing. Every country where I have lived, people swear by rinsing with cold water. Notice the people’s skin who you admire, apart from genetics I wonder if you will be amazed at how many use cool/cold water instead of hot water and how that affects their skin’s condition. When the temperature heats up and perspiration is inevitable, it doesn’t mean your skin is getting oily. Quite the contrary; it can become dryer and your skin can start to look dull once the sweat evaporates. You always want to drink plenty of water. 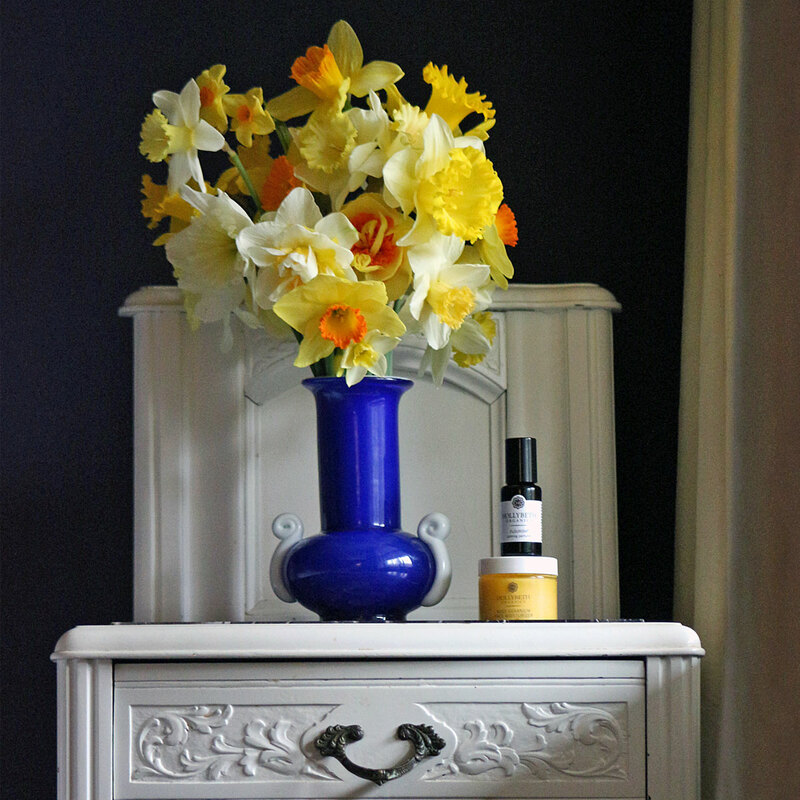 I mist throughout the day with a non-alcohol based mister/toner, our rose geranium a marigold toners. While living in France, I learned that dry oils are the best moisturizer for both dry and oily skin.Why? A dry oil is non-comedogenic (non-pore clogging). One of my favorites is camellia oil – it sinks right into the skin and has been treasured by Japanese geisha for years. Camellia oil also has uv protection properties. You will find this ingredient in most of our products including face and neck elixir and rose geranium face moisturizer. The area around our eyes starts showing ages first because the skin there is thinner. And squinting in the sun doesn’t help. It’s best to always use a moisturizing eye cream and apply it with your ring finger from the outside in. Beyond that, summer can cause our skin to become dry. Even if you have oily skin, you still need to replenish the moisture; misters or dry oils work well. Another moisturizing trick is to let your skin breathe by going without make up, just use your moisturizer, sunscreen and don’t forget your hat and sunglasses. Dry brushing has been used for centuries around the globe. The Chinese used fibers of a fruit called silk squash. Native Americans used corn cobs. As a child my mother would use cornmeal. In all cases the premise is the same: the scrubbing must be done on dry skin. 30 years ago a Finnish doctor began recommending his patients to dry brush to stimulate, exofoliate and detoxify the body. This appears to have taken dry brushing from cleansing to detoxifying. Over a third of the germs and toxins in our body are excreted through our skin. Logic would tell us that increasing this flow is beneficial to the skin through dry brushing. My first experience was years ago in Morocco in a small village bathhouse where stones similar to pumice were used. In Finland, I had a similar treatment but birch twigs were used instead of a brush. When I lived in France, a similar procedure was used on dry skin to reduce cellulite. Brush before your bath when you are completely dry, standing in the shower or tub. Brush towards your heart starting at your feet. Be gentle and stay away from any cuts, bruises or sensitive skin areas. After brushing, bathe in lukewarm water and follow up with your favorite nourishing body oil. Clean your brush regularly and store it in a dry place. The main benefit is exfoliation – no more dead cells on the skin surface. Your skin will be baby soft. In winter we tend to have drier and flakier skin so dry brushing makes the skin healthier. It eliminates black heads by cleansing your pores of toxins and debris. It circulates blood full that helps eliminate toxins and waste from our largest organ: our skin. Proponents of dry brushing claim that it stimulates the lymph flow thus detoxifying the body. The reasoning is that the lymph system is just below the skin’s service and the brushing increases activity and flow. It is known to tighten the skin reducing the appearance of cellulite. As it opens your pores, the skin absorbs more easily moisturizers and lotions. We of course, use our body oil afterwards. Scented with ylang ylang and black pepper essential oils, this luxurious Body Oil seduces the senses to a state of repose. 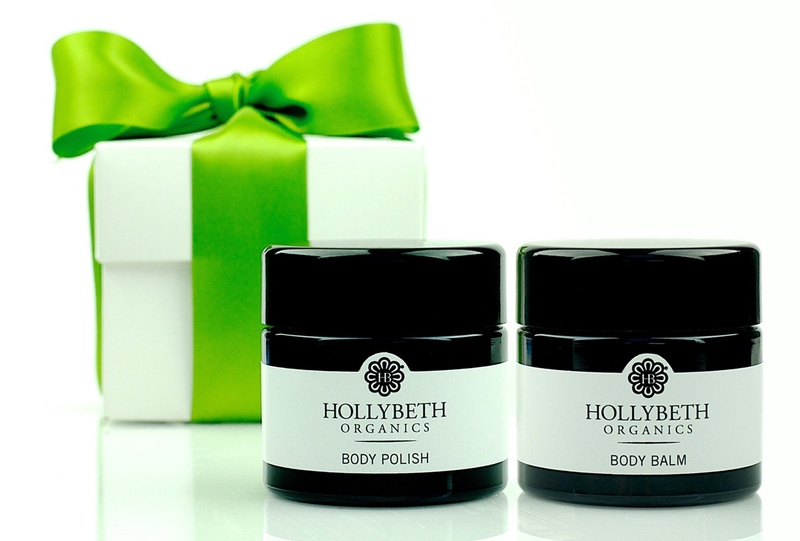 With each use, skin is optimally hydrated, smoothed, and softened, giving the body an enviable glow. Spring is the time we get motivated to clean out our homes, to get rid of things to start fresh. But spring cleaning isn’t just about purging physical items from our lives. After a long winter, it’s also a great time to think about purging toxins from our bodies. Your skin deserves a spring clean to keep everything fresh, glowing and gorgeous. The key to any skin or beauty regimen is consistency. The skin is made up of several layers and it takes time for skin to adjust to new climates. If you follow the main ‘musts’ your skin will be vibrant and glow year round. Spring skincare begins today – the first day of spring! So let’s get started. 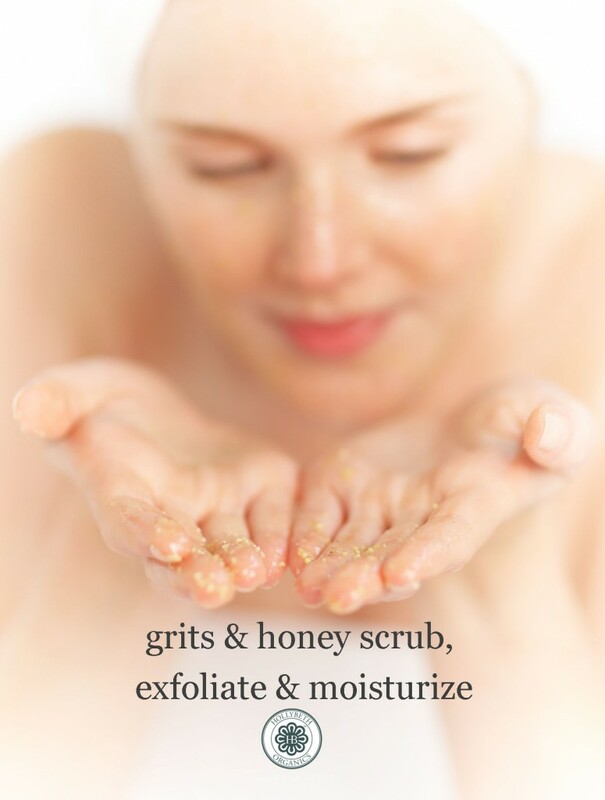 Below are key essentials to keep your skin glowing and healthy. Get rid of winter skin for your spring skincare with a gentle exfoliator and stay away from harsh scrubs and chemicals that can damage your skin. Remember your skin sheds cells every minute, think of it as spring cleaning, sweeping away winter. When I was a child my mother would exfoliate with cornmeal which is the reason I created our award winning grits & honey scrub. What customers love about it is that it is not only an exfoliator but a moisturizer as the honey leaves your skin soft and supple. To this day her skin glows and I know it is from her routine of exfoliating and moisturizing. This is so important. When I lived throughout Europe and Latin America doing international business development, people would always tell me to never use soap to cleanse my face, but to use cold cream or oils. I eventually created, and now swear by, our gentle foaming cleansers that are castile based infused with essential oils. Our cleansing oil is also gentle, yet effective in cleansing. Every country where I have lived, people swear by rinsing with cold water. Notice the people’s skin who you admire, apart from genetics I wonder if you will be amazed at how many use cool/cold water instead of hot water and how that affects their skin’s condition. When the temperature heats up and perspiration is inevitable, it doesn’t mean your skin is getting oily. Quite the contrary; it can become dryer and your skin can start to look dull once the sweat evaporates. You always want to drink plenty of water. I mist throughout the day with a non-alcohol based mister/toner, our rose geranium a marigold toners. Our body mist is super hydrating with cucumber, neroli and grapefruit. While living in France, I learned that dry oils are the best moisturizer for both dry and oily skin.Why? A dry oil is non-comedogenic (non-pore clogging). One of my favoritesis camellia oil – it sinks right into the skin and has been treasured by Japanese geisha for years. Camellia oil also has uv protection properties. You will find this ingredient in most of our products including face and neck elixir and rose geranium face moisturizer. 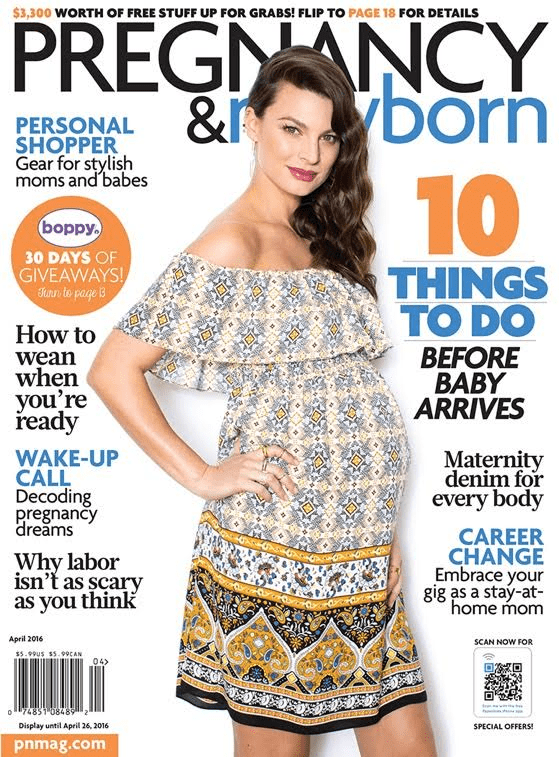 Pregnancy & Newborn Magazine dubbed HollyBeth Organics’ Body Polish a “best bet for moms-to-be” in its April 2016 issue! In this hot weather it is important to cleanse and hydrate skin. Therefore, I have decided to follow my mother’s regimen that she has followed rigorously for 83 years. When I was a child she would exfoliate with cornmeal; years later when I was making a body scrub she suggested adding grits. I add Tupelo Honey, Vitamin E and a tad of organic sweet almond oil and Voila! an exfoliant AND a moisturizer. Truly decadent and results oriented! After this I spritz all day with my marigold toner it cuts down the perspiration and is uplifting AND keeps me hydrated and at night I used my rose geranium toner as a mist. Exfoliate: Get rid of winter skin with a gentle exfoliator, stay away from harsh scrubs and chemicals that can damage your skin. Remember your skin is shedding cells every minute, think of it as spring cleaning, sweeping away winter. When I was a child my mother would exfoliate with cornmeal which is the reason I created our award winning grits & honey scrub. What customers love about it is that it is not only an exfoliator but a moisturizer as the honey leaves your skin soft and supple. To this day her skin glows and I know it is from her routine of exfoliating and moisturizing. 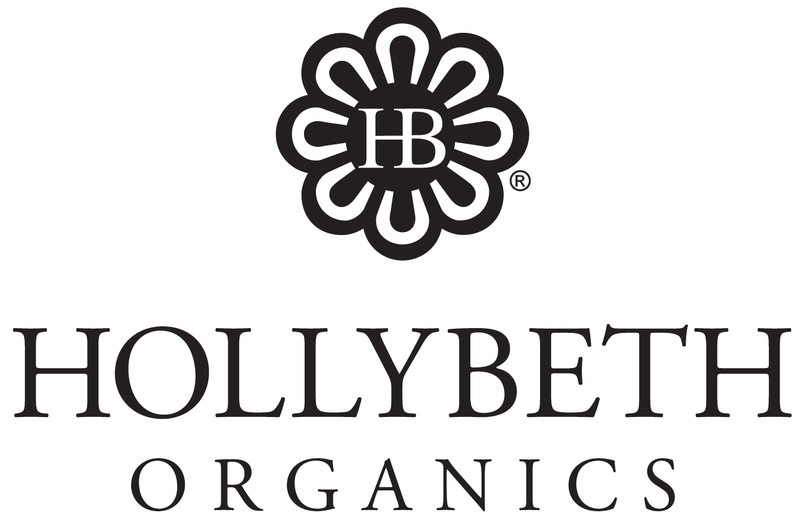 Follow HollyBeth Organics on Instagram!